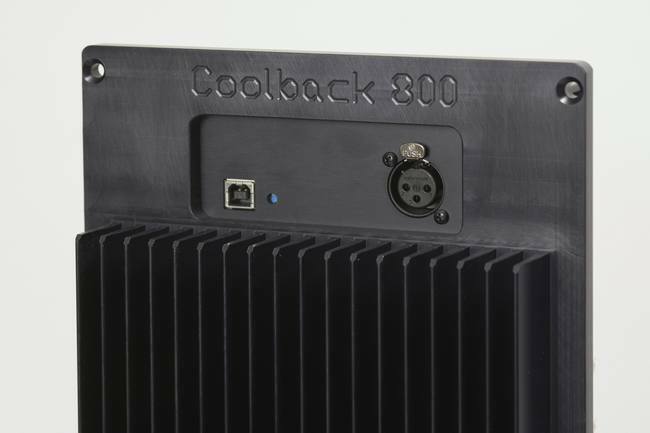 Coolback 800 is a sophisticated, luxurious and powerful 4-way active "plate amplifier" intended to be build into the back of the loudspeaker. 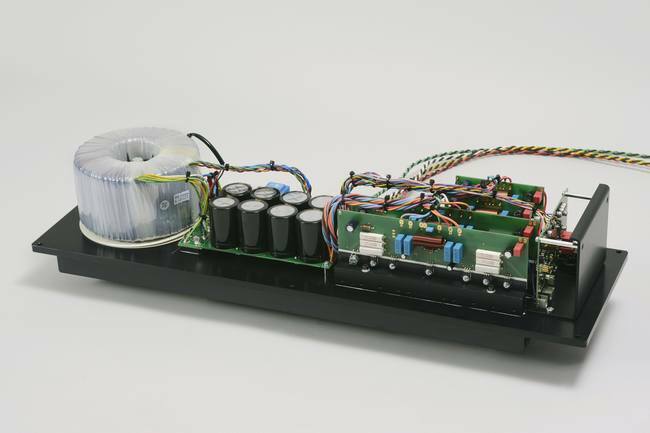 The electronics consists of a digital crossover DCN14, 1 x class AB power amplifier modules PA1CC, 1 x class AB power amplifier modules PA3CC, 2 x class H power amplifier modules HPA1K and a dedicated power supply for the digital crossover and power amplifiers. 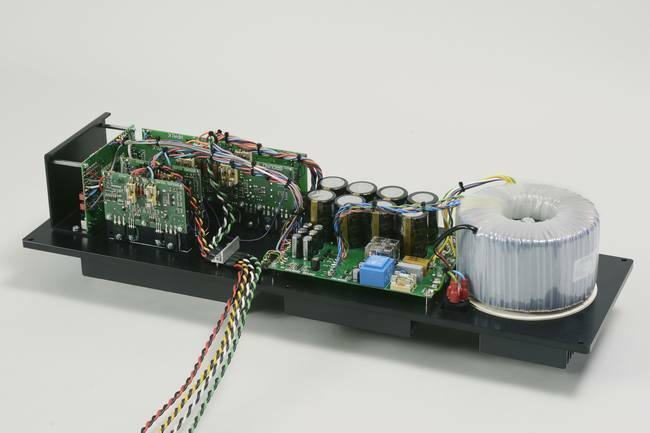 The power supply PSU8AGS features individual rails; one for the digital circuitry; another for analogue supply of the the converters and yet a third for the positive and negative supply for the op-amps. 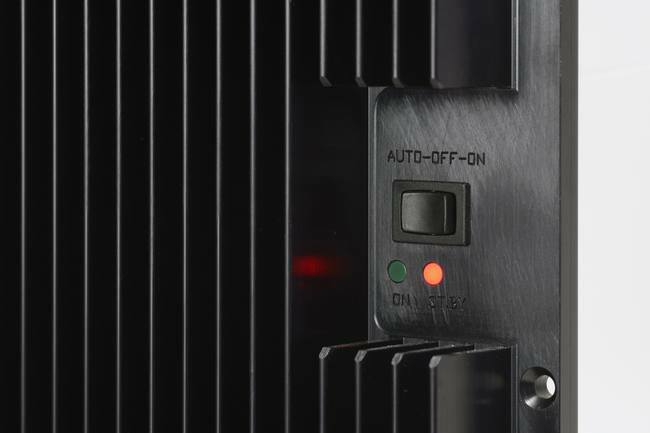 The power supply also features an Automatic sense turn ON / OFF circuit and of course a soft start to prevent house fuse drop out. The toroidal transformer is a 800VA low noise type. 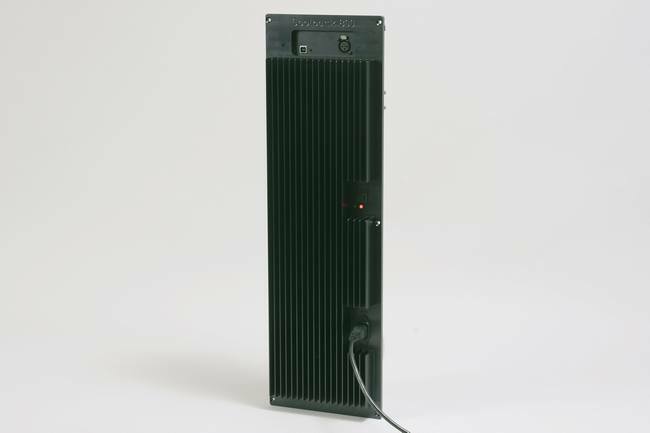 All electronics are assembled on a 200mm x 40mm German made aluminium heat sink profile with a height of 650mm. The high quality aluminium heat sink is CNC machined in Denmark. The maximum flange can be 17mm. The combination of low thermal resistance heat sink and low idle power consumption amplifier modules makes the Coolback 800 run very cool. 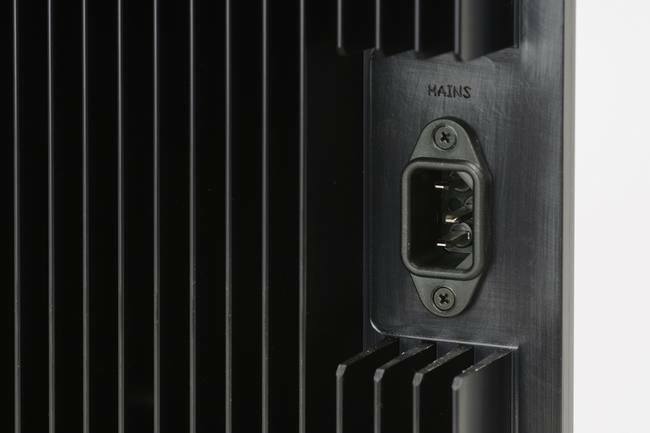 The only visible on the outside are the connectors (Balanced Input - Neutrik XLR, PC Communication - Neutrik USB and IEC mains Power inlet), Operation Switch (ON-OFF-AUTO) and LED Indicators (ON-StandBy). The Coolback 800 is ideal for an ambitious large 4-way active DIY loudspeakers. The Coolback 800 can be programmed by XOverWizard II standard or XOverWizard II advanced software. The software makes the Coolback 800 a precision tool for the ambitious DIY person and optimal loudspeaker setups can be achieved.